Recently we've been looking at ways of making more money from your website using affiliate programs. A couple of lessons ago we discussed 27 year old entrepreneur Jeremy Palmer's new book and how he has managed to earn over $1 million online as an affiliate in only his second year. I know many of you grabbed a copy of his book, so well done on investing in yourself and continuing your education. In an earlier lesson we looked at several ways of increasing the value of every visitor to your site and one of those ways was to sell high ticket items. 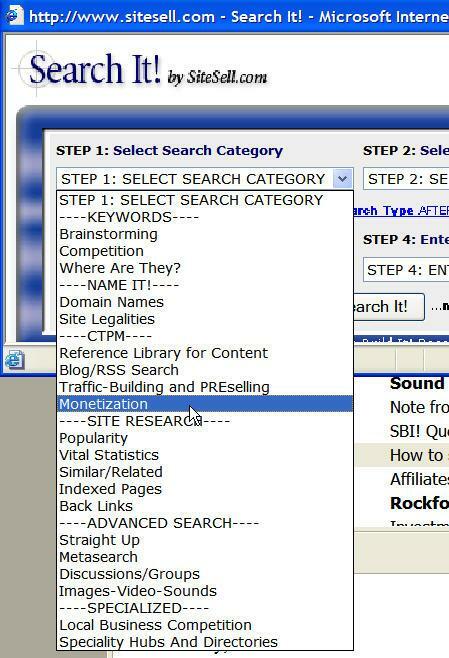 Today I'd like to make it real for you and show you how this works in practice by sharing some numbers I have on using just one of the techniques Jeremy discusses in the book - creating effective landing pages - when combined with promoting a high ticket item. In this example, I'm using Google Adwords to drive traffic to a landing page which links to an affiliate merchant. The product sells for $597 and the affiliate commission is $500 (not bad eh?). Below are screen shots from three days in the first week of the campaign after implementing Jeremy's landing page technique. In this first shot you'll see that my Google ad showed 623 times that day, 22 people clicked on the ad to go to my landing page, and the total cost for the day was $7.88. The average position of the ad was 17.2 (in other words, it was showing on page 3 of the Google search results) and 100% of the people who landed on this page from my Adwords ad clicked through to the merchant's website!! If you'll think back to a couple of lessons ago where I mentioned that getting 1% of your visitors to click through was average, a 100% click through rate is rather good, don't you think? Here 86 people or 69% clicked through from my landing page to the merchant's website. Still not too shabby when you consider the best I'd had before was around 8% of people clicking through to my merchants. On this day, 88% of the people who clicked on my Google Adwords ad visited the merchant's website. I've seen consistent results like these every day since I started implementing this new landing page format. If you've been tracking your stats you'll know that these click through rates are amazing. More common click through rates range from below 1% to 10% on a good day and some sites do much worse that this. As you can see, my ads are showing anywhere between page 2 and page 10 of Google's search results (this is a highly competitive market) and still I'm getting clicks. And even better, the conversion rates are holding. That means that nearly three quarters of the people landing on this page have gone on to the merchant! If this merchant's site continues to convert prospects to buyers at between 1% and 3% like it has been it will be a very profitable project that once set up is completely hands off. My cost per visitor to the merchant's website ranges from 30 cents to $1.10. Considering the product has a $500 commission and if the sales page converts just 1% of visitors to buyers, the profits look like this. What can you learn from this example? I learned how to do much of this from Jeremy and you can implement the exact same strategy by following the guidelines in his book. The other thing you should think about is that you shouldn't be wasting your time promoting low ticket items to your market. Every sale I make through this merchant pays $500 in commission and there is the potential for residual income as well from ongoing commissions. With such high commissions I can afford to spend a lot of money attracting each customer so I have more options for marketing this product. Since the last lesson several readers have asked me where they can find high paying affiliate programs in their niche markets. 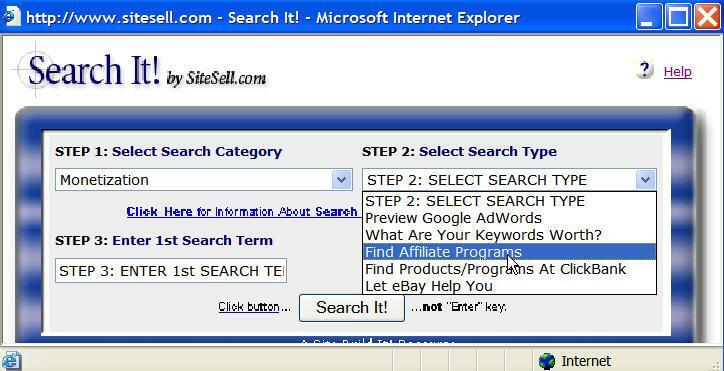 Then choose Search It! 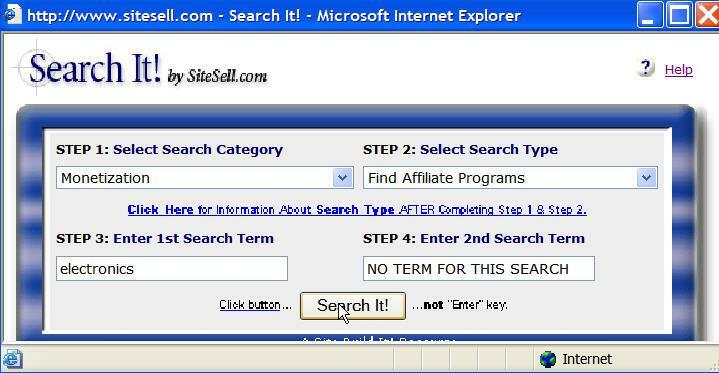 You will now see a list of affiliate programs related to the keyword you entered into the search. Visit these merchants and add suitable programs to your monetization plans. Look for popular, high paying products and services that other affiliates are promoting and making profits from. It's OK to promote ebooks as part of your monetization mix, but the biggest bang for your buck (and the time you've spent on building your website) is in promoting high value items that pay large commissions. That's all for today. I hope this lesson has given you something to think about and helps you to make more income from your SBI website over the weeks and months ahead.